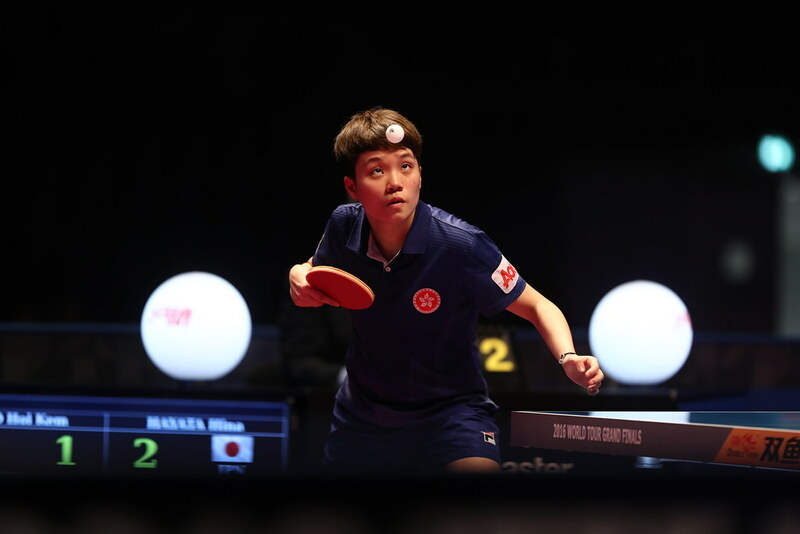 New to the international scene, a first appearance at a major international tournament, the host country’s Kim Hyong Jin emerged as the surprise first place name when play concluded in the initial stage of the Men’s Singles event at the 2017 ITTF Challenge Pyongyang Open on Thursday 3rd July. No current world ranking, he finished ahead of colleague, Ro Kwang Jin at no.106, the second highest rated player in the event; Kim Jin Su, also from DPR Korea finished in third place. First place but it was first place by a very narrow margin. On the opening day of play, Kim Jin Su had beaten Ro Kwang Jin in six games (2-11, 11-8, 9-11, 11-7, 11-9, 13-11), before on the second day of action recovering to overcome Kim Hyong Jin by a similar margin to the reverse suffered (11-4, 9-11, 2-11, 11-5, 13-11, 13-11). Defeat for Kim Hyong Jin but immediately he recovered; he accounted for Kim Jin Su in five games (9-11, 11-6, 11-9, 11-5, 11-5) and thus secured first place in the group. Games ratio determined the issue; it was first place for Kim Hyong Jin (6:5), followed by Ro Kwang Jin (6:6) and Kim Jin Su (5:6). Runners up spot for Kim Hyong Jin and a place in the quarter-finals; players finishing in first and second places in each of the four groups, advance to the round of the last eight. Meanwhile, for the remaining leading names, Pak Sin Hyok, Kang Wi Hun and Choe Il, it was first place in the group. Pak Sin Hyok beat Iran’s Arya Amiri (11-8, 11-3, 11-7, 11-9) to secure pole position, whilst Kang Wi Hun accounted Ham Yu Song (3-11, 11-8, 11-6, 11-4, 11-6) and Ri Kwang Myong (6-11, 6-11, 11-9, 11-7, 11-5, 11-8). Likewise, Choe Il ended matters in style. He beat Kim Song Gun (12-10, 11-6, 11-3, 11-8) and Sim Un Song (11-4, 11-3, 11-9, 8-11, 11-8). On the opening day of play, Kang Wi Hun had beaten Ro Hyon Song (11-5, 12-10, 10-12, 11-9, 11-9); Choe Il had overcome Mun Jin Song (11-3, 11-1, 11-5, 11-4). Second places went Arya Amiri, Ro Hyon Song and Kim Song Gun. The quarter-finals of the Men’s Singles events takes place on Friday 4th August.